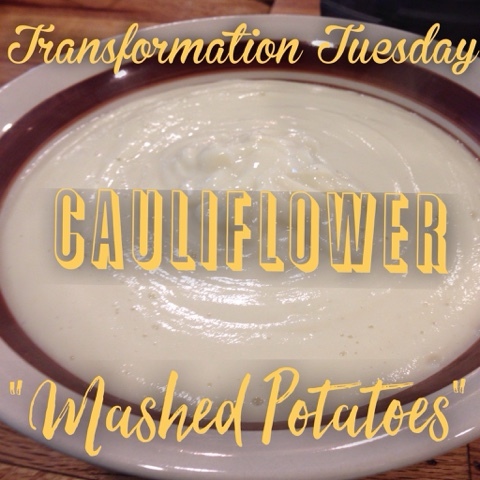 Amanda M. Schreiner: Transformation Tuesday - Cauliflower "Mashed Potatoes"
Transformation Tuesday - Cauliflower "Mashed Potatoes"
Let's face it, if you are like me and have tried cauliflower rice or mashed potatoes, they aren't the same. This recipe is no different ... you aren't going to fool anyone who loves mashed potatoes. However, if you are like me and don't really want to spend your precious yellow containers (the 1/2 cup container for starches) on mashed potatoes ... listen up! Cause this is mostly green! I love finding ways to sneak those greens in. I felt like the mashed cauliflower idea had merit ... I don't hate cauliflower. But I kept thinking there had to be something I could do to improve the texture. Even using my Vitamix it came out a bit on the gritty side. Well, never fear dear friends because I think I found a solution! You may not pull the potato skin over anyones eyes but this recipe has come out tasty and creamy for me. Last week I paired it with a simple crock-pot roast. I'm not really a "meat and potatoes" girl, but this was a nice substitute. 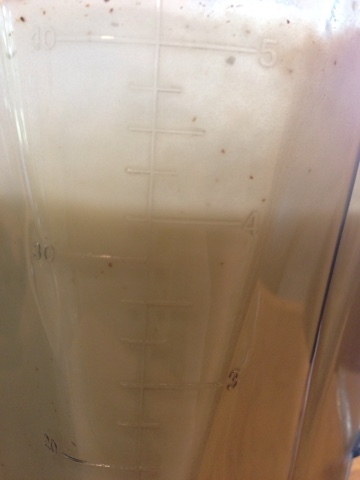 You can add a splash of unsweetened plain almond milk to get it going if you have trouble. 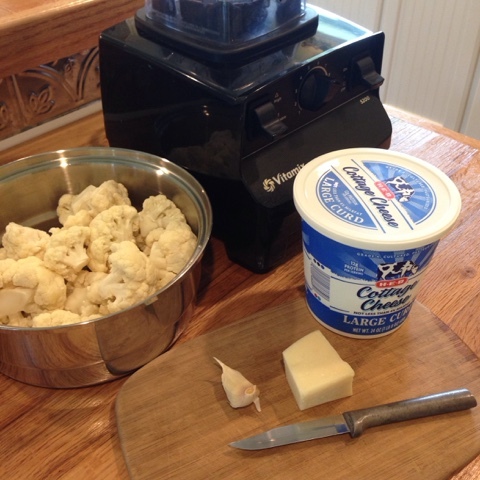 I threw the cauliflower in first and pureed it until smooth, then the parmesan, then the garlic, then the cottage cheese. I haven't tried this in any other machine but the Vitamix whips it nicely smooth. Couldn't do THAT again if I tried! How much it makes will really depend on the size of your cauliflower. Generally it is going to make 4 servings which count for 1 green, 1/4 blue, and 1/4 red each!